At Incident Response Forum 2018, Cybersecurity Docket will announce our “Incident Response 30″ for 2018 – our list of the 30 best and brightest Incident Response legal and compliance professionals in the industry. Specifically, our list will honor 30 incident response attorneys and compliance professionals who not only have the right stuff to manage a data breach response, but are also the kind of professionals critical to have on speed-dial when the inevitable data breach occurs. 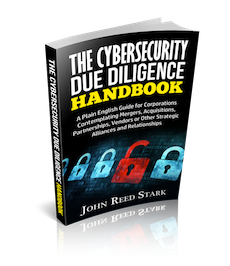 Cybersecurity Docket created its inaugural Incident Response 30 in 2016. 2018 marks the first update we have made to this list of the 30 best lawyers in the business. Please email your nomination to IR30@cybersecuritydocket.com with the Subject line “IR 30″. The deadline for submissions is March 9, 2018 and we will announce the 30 honorees at Incident Response Forum 2018, which will take place on Wednesday, April 18, 2018 at the Mayflower Hotel in Washington, D.C.